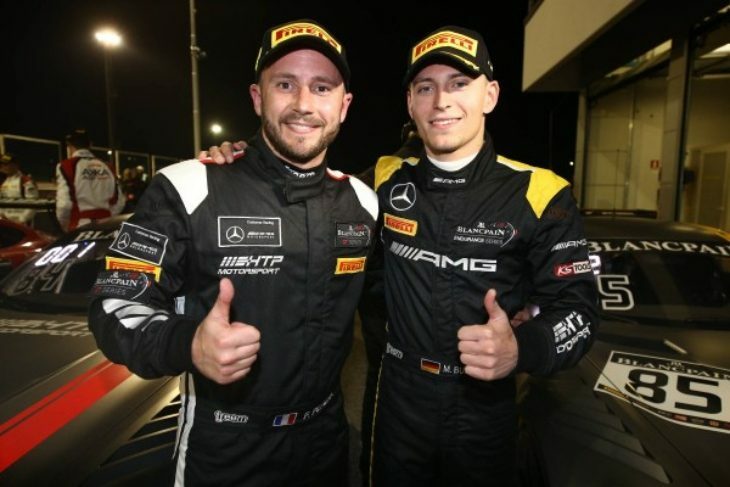 After a frenetic start to the first Qualifying Race of the season, Maxi Buhk and Franck Perera (#84 HTP Motorsport Mercedes-AMG) were crowned the winners. They will start from pole in tomorrow’s main race. Second, and winners of the Silver Cup, were Jules Szymkowiak and Fabian Schiller, also at the wheel of an HTP Motorsport machine. Raffaele Marciello and Michael Meadows completed a Mercedes-AMG 1-2-3, driving the #90 AKKA ASP car. The win in Pro-Am went to reigning champion Michael Broniszewski, sharing the #11 Kessel Racing Ferrari with Giacomo Piccini.